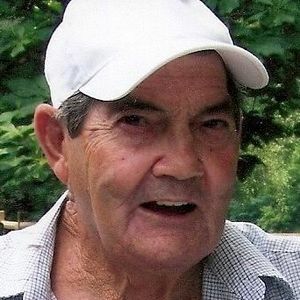 Greenville- Buland "Snakey" Owens, 84, Greenville died Tuesday, October 25, 2011 at his residence in Greenville. Born May 7, 1927 in Casey County to the late Fred and Minnie Owens. He was of the baptist faith and was a retired electrician for TVA. He was a 60 year member of the IBEW Local 816 and a lifetime member of the VFW 5478. Mr. Owens is a veteran of the U.S. Navy. He is preceded in death by his parents Fred and Minnie Owens. He is survived by his wife Barbara Coleman Owens of Greenville; one son, Frank (Teresa) Owens of Madisonville; two daughters, Alisa Owens of Greenville and Alane (Bill) Gross of Tampa, Florida; five grandchildren, Amelia (Daren) Bowen, Emely (Jeff) Stewart, Jeremiah (Kristen) Hinson, Jacob Owens, Samantha Michael; four great grandchildren, Sara Rone, Zane Owens, Silas Bowen, Elijah Bowen; three step grandchildren, Whitney Bowen, Nathan Bowen, Lane Bowen; one niece, Regina (Dale) Carden; one great nephew, Seth Carden. 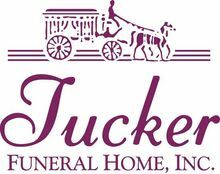 The beautiful and interactive Eternal Tribute tells Buland's life story the way it deserves to be told in words, pictures and video. I was going to call Buland this afternoon, did't have his phone number.Keyd in the info and his obit popped up. Just about fell off my chair. His mother Minnie was a sister to my grandmother Martha Pitman. So sorry for your loss and may God help you get through this sad time. You will be missed "papaw." I will always remember you sitting at the kitchen table working those crossword puzzels from the newspaper. My Aunt Kelley and Mom really loved you a bunch! My sincere condolences to you and your family in the loss of your husband and father. May God be near you at this time. Snakey was a wonderful man & will be greatly missed by many. Your family is in my thoughts and prayers. honorable service to the United States of America and the United States Navy; We extend our appreciation and gratitude for his service to God, Country and the United States Navy. On behalf of the members of our Branch and Unit, we offer our condolences.